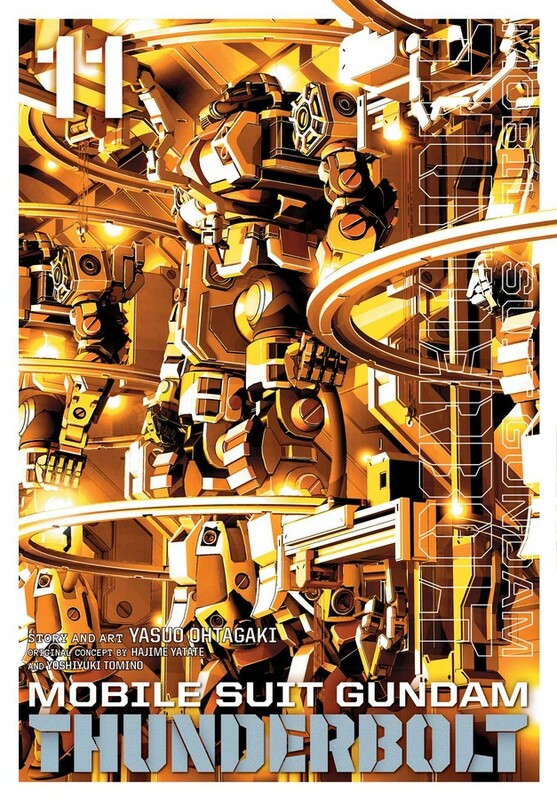 Mobile Suit Gundam Thunderbolt manga volume 11 features story and art by Yasuo Ohtagaki. Abandoning their allegiance to Zeon, Daryl Lorenz and Dr. Karla Mitchum join Federation defector Claudia Peer and head for the Nanyang Alliance's Taal volcano base to dedicate themselves to the cause of Sojo Levan Fu. 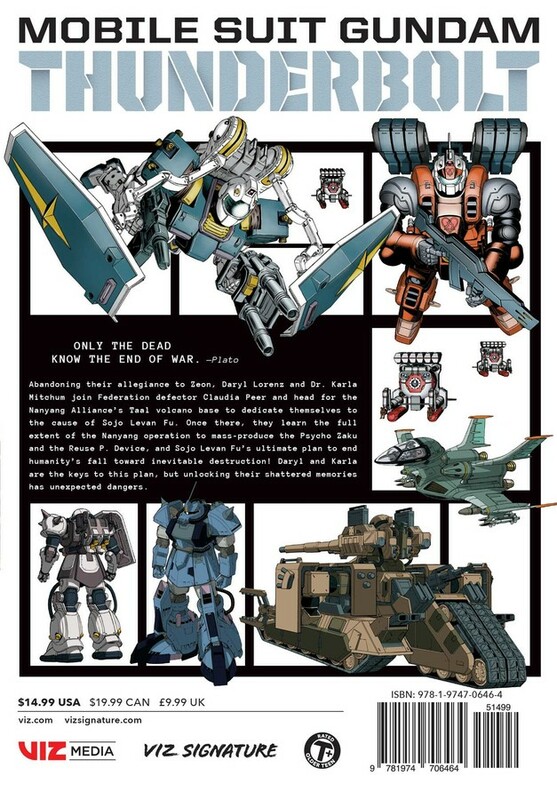 Once there, they learn the full extent of the Nanyang operation to mass-produce the Psycho Zaku and the Reuse P. Device, and Sojo Levan Fu’s ultimate plan to end humanity’s fall toward inevitable destruction! Daryl and Karla are the keys to this plan, but unlocking their shattered memories has unexpected dangers.